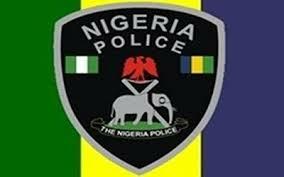 The Nigerian Police Recruitment Form for 2016/2017 is out - this is to inform the public that application form for the Nigerian Police Recruitment is NOT yet out on the Nigerian police service commission website. On the 15th day of March 2016, the Office of the Police Service Commission wrote an invitation to several government and security offices including the senior special assistant to the president on special duties, office of the president, presidential villa, Aso Rock, Abuja, inviting all of them to attend the lunching of PSC website for the recruitment of 10,000 Nigerians into the Nigerian Police Force. Whenever the form is made available we will ensure to update you ASAP. Just sign up by sending us your email (through the comment section) and we'll ensure to update you on latest info about NP recruitment form and application details. We do not know the details of the meeting yet but we believe that the recruitment is set to begin very soon. We advice you to stay put and wait for the website to be launched so that Nigerians can apply online. We will update you immediately we get complete information about the recruitment of the 2016/2017 Nigerian Police Recruitment Website - Applying Now is not available. Recruitment 2016 Notice: The recruitment of 10,000 police officers is yet to begin - The honorable Chairman of the Commission has warned the general public to stay away from all rumors and unscrupulous elements to avoid being misled.